I have been an urban English Teacher for ten years now, but unfortunately many of my 8th grade students do not posses any writing skills or the confidence to write. 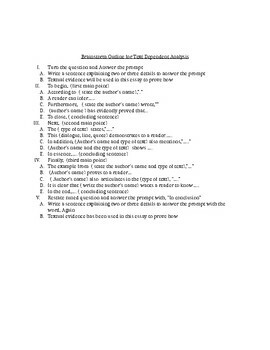 Therefore, when I learned about sentence starters and the need for students to now write an essay on the PSSA. 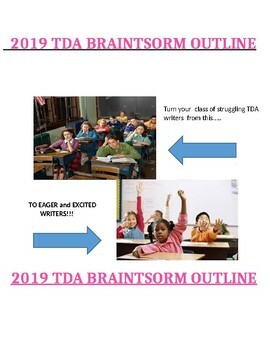 I created a TDA Outline that helps them write, as if they have been learning the conventions of writing, all of their eight years of schooling. This technique allows me to have struggling writers produce text analytical writings on grade level. To utilize this in my instruction, I model how it can be used to answer many TDA questions through the "I do , We do, and You do" instructional practice. 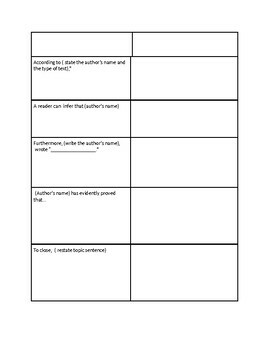 Then, I push the great old school practice of memorizing the outline so that my students have this tool when taking the PSSA. I have seen my students make great improvements on their writings in class and on the PSSA. So, if your students are struggling to draft a TDA....This may be the tool for your lovely students. 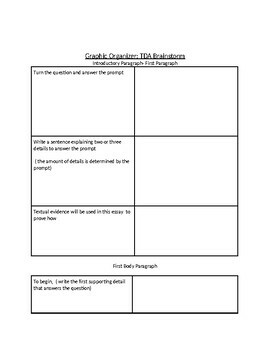 **This produce contains: TDA Outline, Graphic Organizer to use when brainstorming with the outline steps, and Modeled TDA Example (an earned score of 4 essay modeled with this strategy because pushing the students to work their hardest ,guarantees better writers) . Please let me know if it works for you and feel free to adapt to your students needs.